The Los Angeles Chargers revealed that their iconic powder blue jerseys will serve as their primary home uniform in 2019. 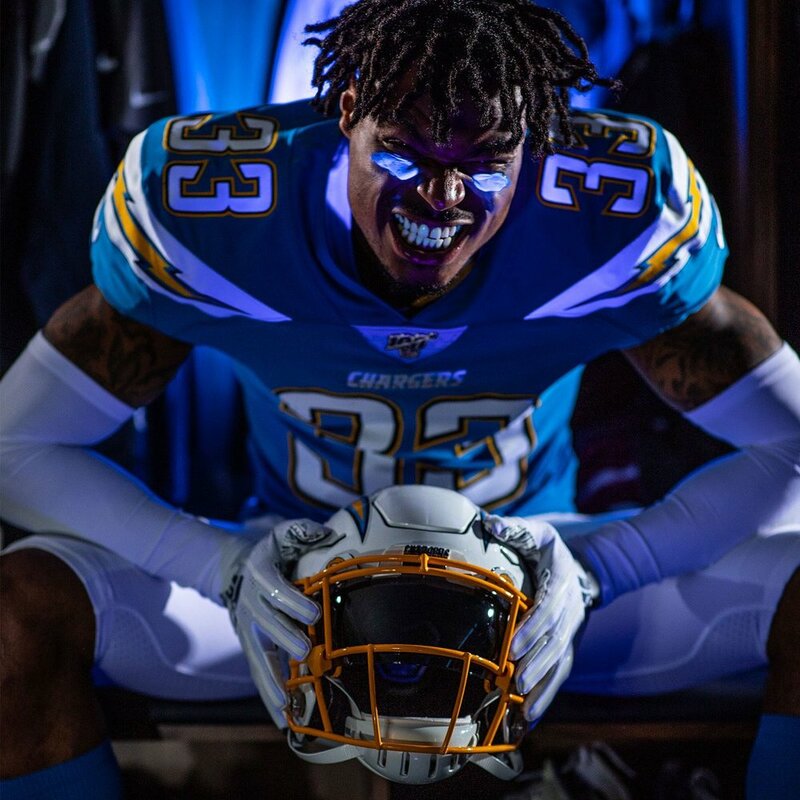 To accompany the powder blue look, the Chargers will also wear the gold facemask that we most recently saw them rock with their color rush uniform. The Chargers were actually the first team in NFL history to wear a colored facemask when they first took the field with them on their blue helmet back in 1974.